it may come as a surprise to you, but my day-to-day life isn’t as picture-pawfect as it looks in my facebook and instagram pictures (shocker, i know right? *wink wink*). i like to post pictures of my best, snazziest, fanciest, cutest, and most mother puppin’ adorable moments. and i mean, who doesn’t like looking at pictures of a cute lil’ pup dressed to the nines, chillin’ in his favorite armchair and “drinking” a glass of wine? literally no one, that’s who. but what if that glass of wine spilled all over the floor? it might be funny at the time (and luckily i have carpet that makes it easy to clean up messes like that), but it’s not something that i’d snap a picture of to post on my facebook or instagram. because, let’s be honest, messes are tons of fun to make, but who likes looking at them? when you’re having fun, you don’t want to worry about the mess. and after you’re done having fun, the mess you made isn’t so bad, because it was so much fun to make, right? it’s the sign of a good time! unless you’re a grandma who keeps her couch clean by covering it in plastic and making your guests drink out of sippy cups, of course. but i doubt that’s the kind of person you are. 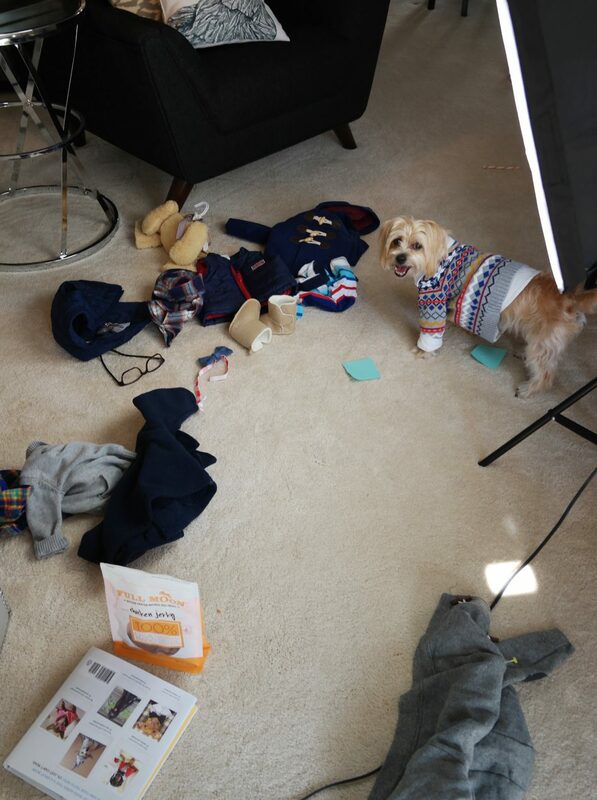 so get ready to go behind the scenes at la casa de rambo the puppy to see some of my favorite, messiest moments of the past week! 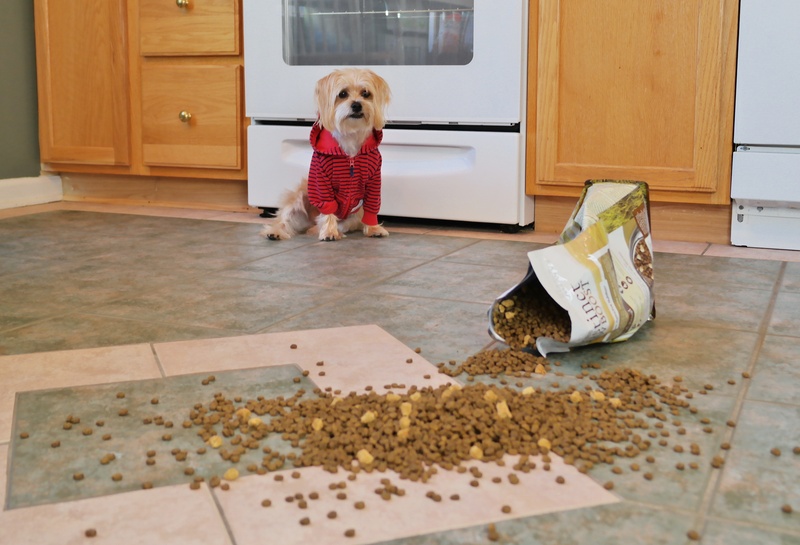 the “oops, what do you mean i wasn’t supposed to rip open this bag of food and spill it all over the floor?” messy moment. OM NOM NOM NOM OMG THIS IS AMAZINGGGG! and YES, in case you were wondering, it WAS in fact one of my proudest moments. 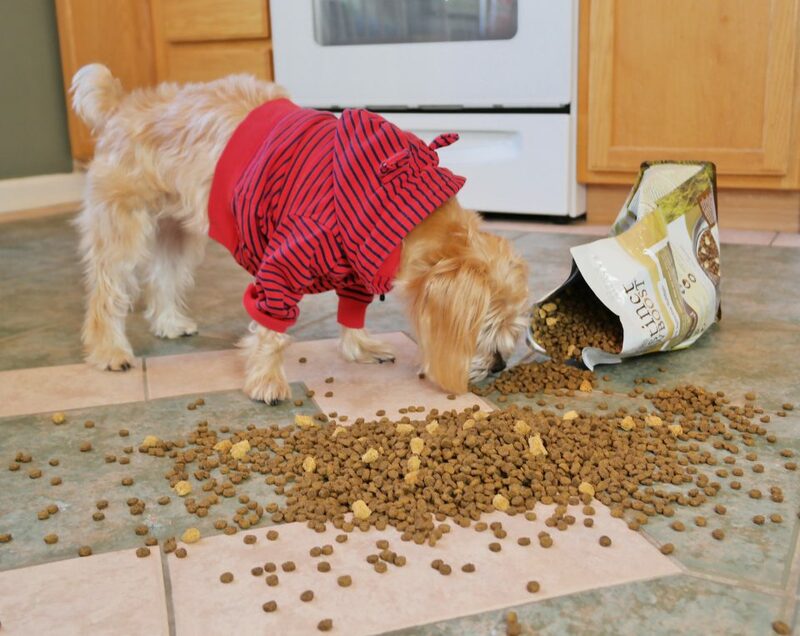 i can finally check, “Get into a bag of dog food, spill it all over the floor, and eat half of it before the human notices,” off my bucket list. IT. WAS. AWESOME. and boy, was it messy. when she finally discovered what i was up to, i did my best to appear very guilty and remorseful about what i had done. 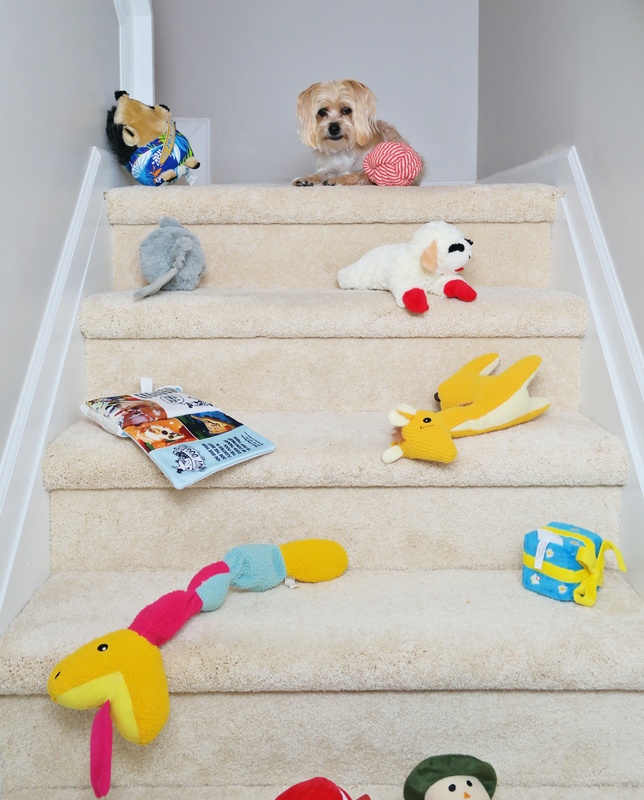 the “what do you mean i can’t leave my toys all over the stairs? i put them here for safekeeping” messy moment. i have two huge toy bins in the house – one upstairs and one downstairs – where the human thinks i should store my toys when i’m not playing with them. except, i don’t. nope. i prefer to leave them on the stairs for safekeeping instead. just call me king rambo, ruler of all the land. well, of these stairs, at least. 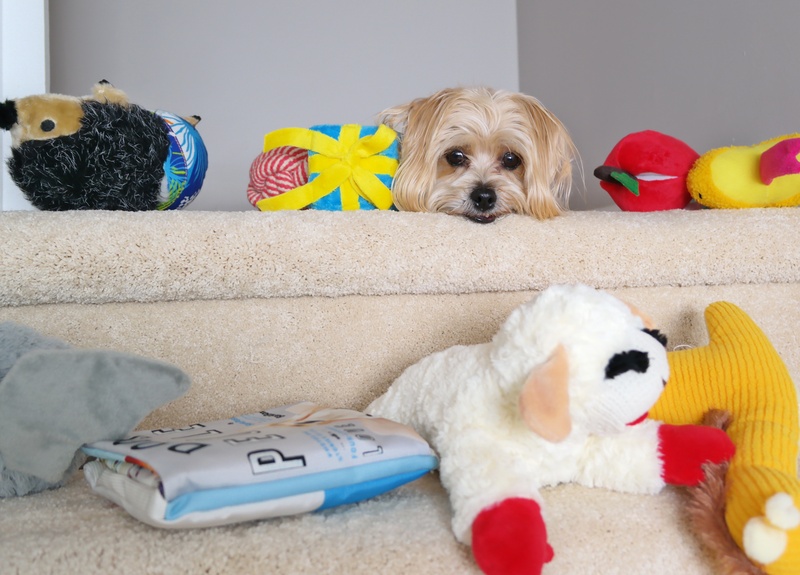 the human calls them “little landmines” because when you have to walk downstairs at night, you have to be really careful not to trip on a stuffed giraffe, a step on a bouncy ball, or squashy my lamby. if you do, it doesn’t like, hurt or anything, but the squeaky noise might scare the pants off you in the middle of the night. and sometimes i do like to leave my half-chewed bones on the stairs, and those do hurt to step on, so you gotta watch out! why do i do this, you might ask? okay, i’ll be honest: sometimes when i’m running up or down the stairs with a toy in my mouth, i’ll drop it by accident. and unless i drop it on the landing, i can’t go back and pick it up. because – oh this is embarrassing- i don’t know how to stop mid-way on the stairs. if i’m going up, i have to run all the way up. and if i’m going down, i have to run all the way down. there’s no stopping for breaks, detours, or snacks! the “let’s pull all of rambo’s clothes out of his closet and throw them all over the floor so we can mix and match some new outfits for a photo shoot!” messy moment. every sunday, we spend some time taking cute photos we can post on my blog or social media pages the following week. 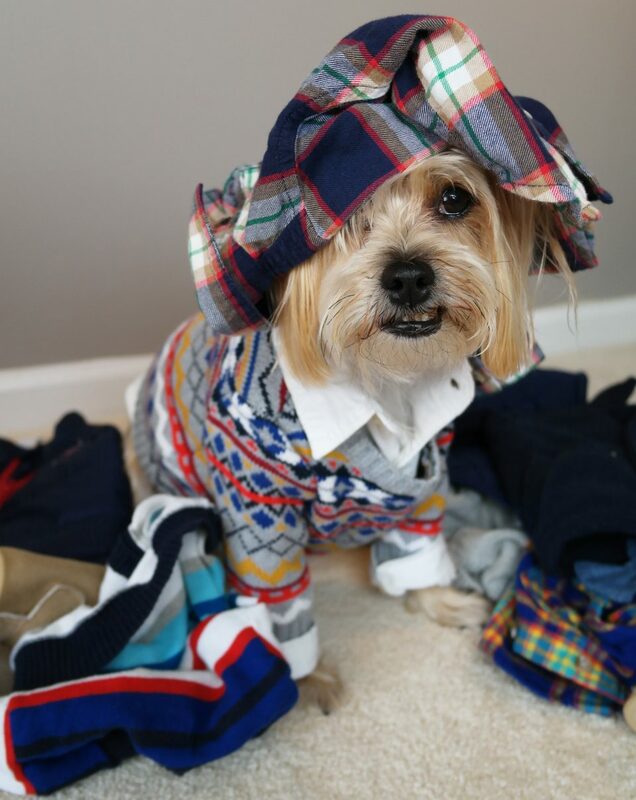 and for some reason, the human likes to pull half of the clothes out of my closet (yes, i have a closet, because yes, i am a diva dog, so yes, here’s your moment to get over the shock of a dog having a closet that’s probably bigger than yours, blah blah blah *wink*) and throw them all over the floor. “i’m mixing and matching some new outfits!” she’ll tell me. and it seems like whenever the seasons change, she will come home with a big bag of “new finds!” she picked up at the local baby consignment shop (so much cheaper than real dog clothes!) to add to my ever-growing wardrobe. and it tends to just make the mess kind of…explode. everywhere. and yes, sometimes it explodes on top of me. yep, can you believe it? 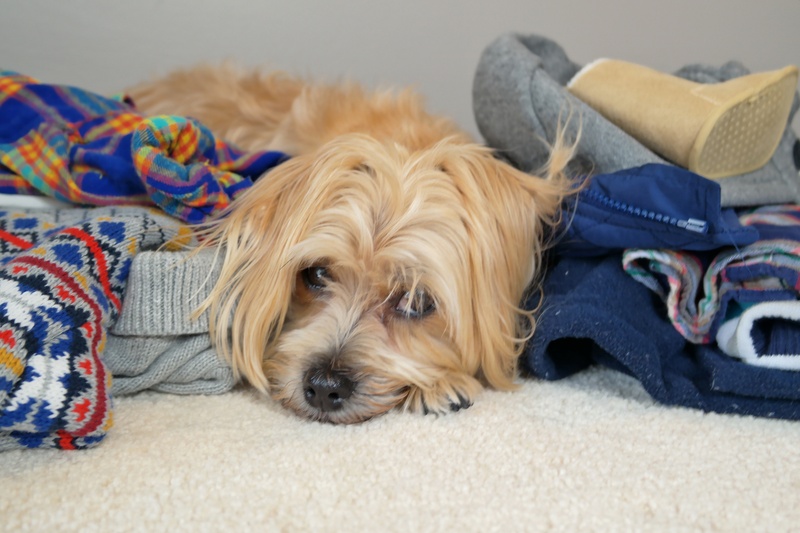 she’ll just leave all my new clothes there in “neat” little piles on the guestroom floor, or in a clothes basket, so she can hang them back up later. just thinking about snacks and stuff. and how long it’s going to take to get these clothes back in my closet. thank god i don’t have thumbs, otherwise she’d probably try to make me help her do it. hmph. 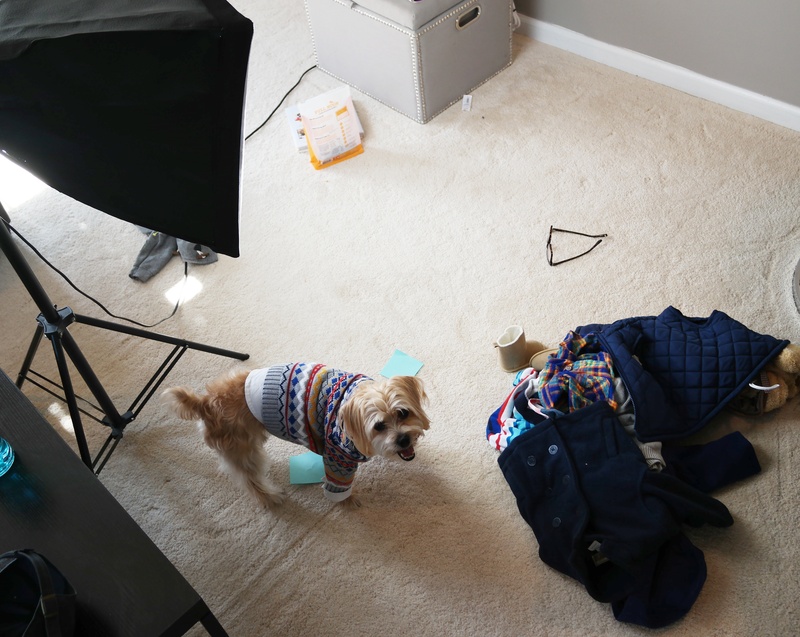 the “let’s take pictures of rambo in the living room and make a total mess, because we can’t NOT, obviously” messy moment. and since i already showed you what my clothes piles look like after she mixes and matches up new outfits for a little photo shoot, here’s what the actual photo shoot looks like. because it’s pretty mother puppin’ bad. are you suuuure you wanna get this on tape? that means there will be evidence that we’re total slobs sometimes…eeekkkkk! clothes, books, glasses, costumes, toys, random scraps of paper (to mark the “spot” where i’m supposed to sit for pictures) and one big ol’ studio light (which helps make the shots cheery and bright, especially on cold, dreary days where there’s not a lot of natural light in our house), this, my friends is a real mother puppin’ mess. okay, are we gonna take pictures or what? but it’s a perfect mess, to me at least. because i love doing this stuff, and so does the human. it’s our special time together, where she dresses me up in snazzy outfits, points a camera at me, tells me to “smile” and then gives me treats for being a good boy. it’s probably favorite thing to do, after chasing squirrels and dreaming about bacon, of course. the “i just came in from running around outside in the rain, and my paws are wet and muddy” messy moment. it’s no secret that i hate all forms of water. except for the kind that comes frozen, in my baconritas 😉 but even though i hate getting wet, sometimes i don’t have any choice, like when it’s raining. when you gotta go, you gotta go mand. and when i gotta go, i put on my little rain jacket and proceed to walk through the messiest, glop-iest puddles in the yard, in search of the paw-fect place to tinkle. go big or go home, right? when i come in from the rain, she tries to grab me before i go galloping all over the carpet with my messy paws and does her best to dry me off with this old towel she keeps in the bench by the door. i like to make it next to impossible for her to do, too, because there’s nothing more fun for me than playing tug of war while she tries – and usually fails – to dry me off. don’t you know that rubbing me down with a towel = playtime? #duh. c’mon lady, let’s play tug of war again! and again! and agaiiinnnn! sometimes i’ll track messy pawprints all through the house if she doesn’t catch me in time (i’m a sneaky guy who can squirm out of her grasp in 2 seconds flat). when she DOES catch me in time, she’ll towel me off as much as possible, but my toesies never get completely dry. so even though i hate water and getting wet, playing tug of war with her while she tries and fails to get me dry with that old towel is so much fun. almost as much fun as making the mess is in the first place! she might not agree with me on this one, but hey, this blog post isn’t about her, now is it? exactly. 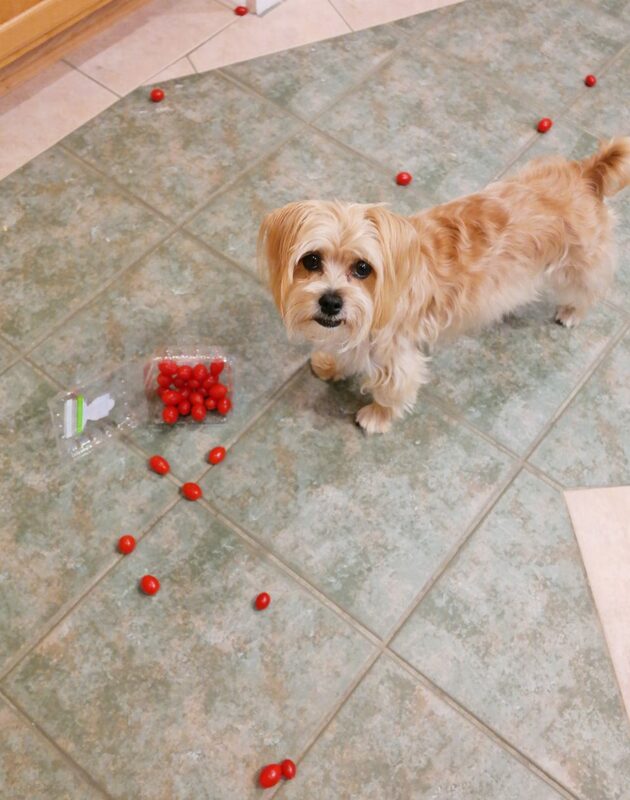 the “uhhh, i totally didn’t spill these tomatoes all over the floor, why you lookin’ at me?” messy moment. my human is a major klutz. if there’s something on the floor, she will trip over it. if there’s something breakable in her hand (a glass of wine, her cell phone, a raw egg) she’ll probably drop it. if she’s walking down the stairs with stuff in her arms, she’ll probably forget about the last step and fall down it. honestly, it must be hard walking around on only two legs, but you’d think that having opposable thumbs would help make up for some of it. but nope, not my human. i learned early on that she’s a total klutz, so whenever she’s making food i make sure to hang out in the kitchen with her. she’s bound to drop something, and it’s probably gonna be yummy, so i need to be right there by her side to help her “clean up” before she can get to it with a rag or the broom. this time she dropped a bunch of cherry tomatoes. the day before, she dropped two raw eggs on the floor (i DEFINITELY wasn’t interested in cleaning those up, thank you very much), which made her swear loudly (“MOTHER…PUPPER!”) and spend like, 20 minutes cleaning up the gooey mess. and the day before that, while she was spooning out some soup into a bowl, a huge glop of it dropped right onto the floor (and yes, in case you were wondering, it was delicious!). she doesn’t really get upset anymore when she drops stuff on the kitchen floor, makes a mess of the stove while cooking a meal or splatters sauce all over the counter when she’s trying out a new recipe. and neither do i, because i’m her trusty sidekick/mini-hoover that can clean up any mess, big or small, in 10 seconds flat! as long as it’s tasty, that is. 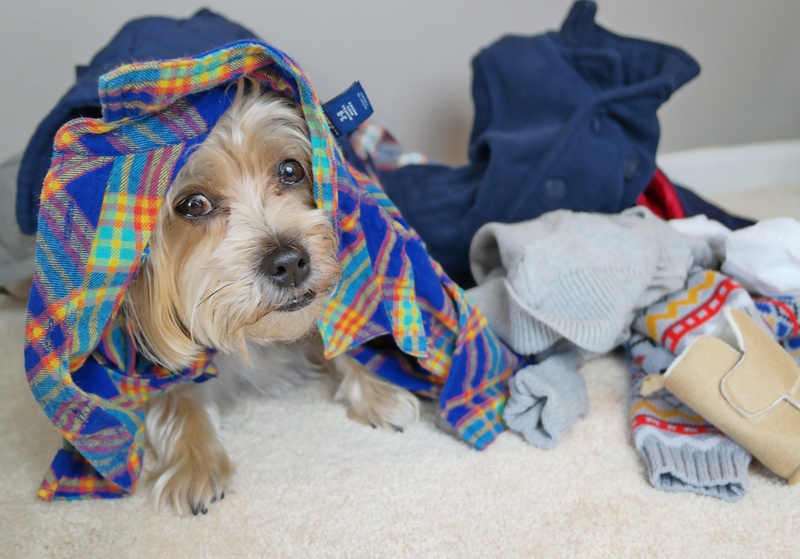 the “let’s stay in and watch muttflix tonight” messy moment. 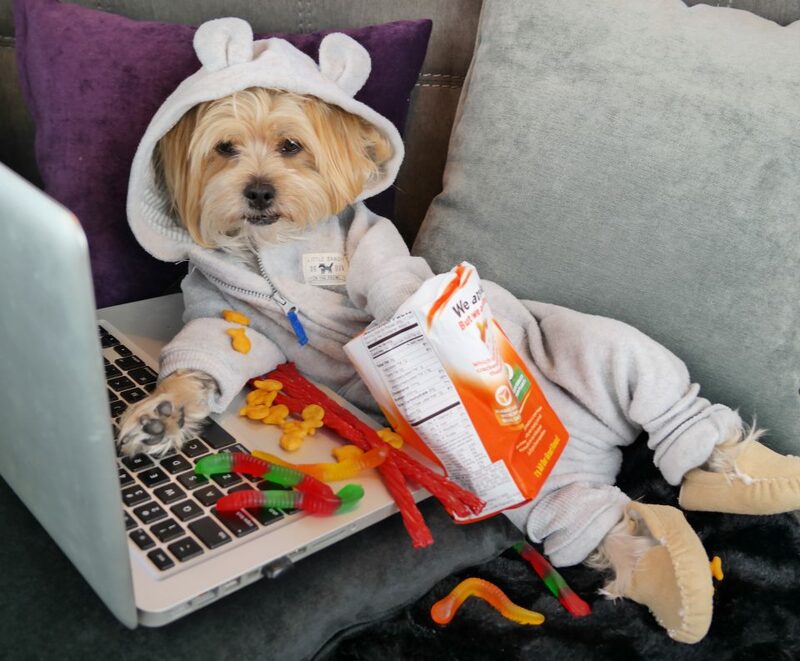 one of our favorite things to do is stay in and watch muttflix. 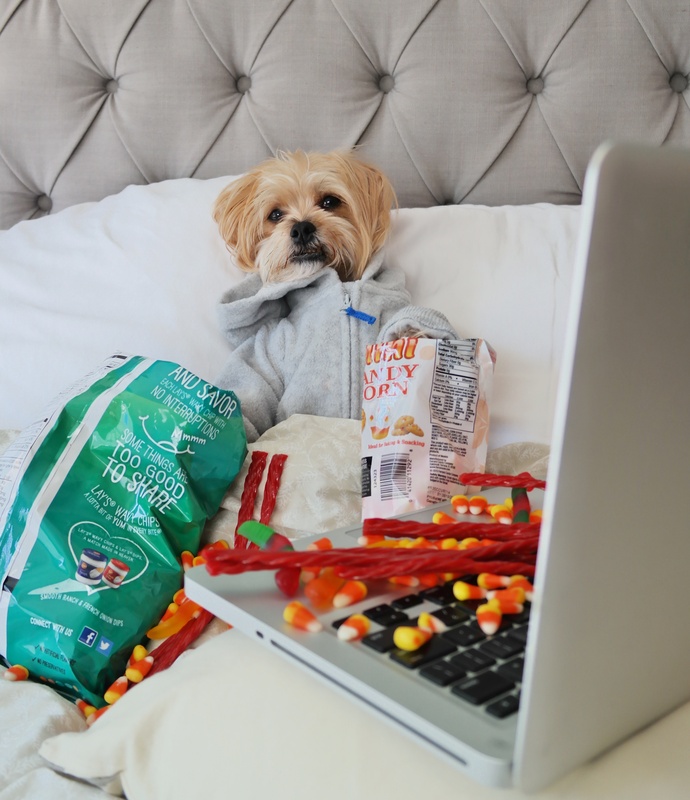 and what would an evening of #MuttflixAndChill be without some yummy snacks? dude, i would trade these gummy things for some bacon treats anyday. except, okay, this isn’t technically my perfect mess. this is totally the human’s perfect mess. but since we don’t post pictures of her (it’s MY blog after all! ), here’s my reenactment of what she looks like on any given night where we’re watching muttflix and chillin’. and sometimes, if she had a little too much fun going out with her group of friends the night before (which happens only like, once or twice a year, thank god, because she leaves me home alone all by myself! how DARE she, right? 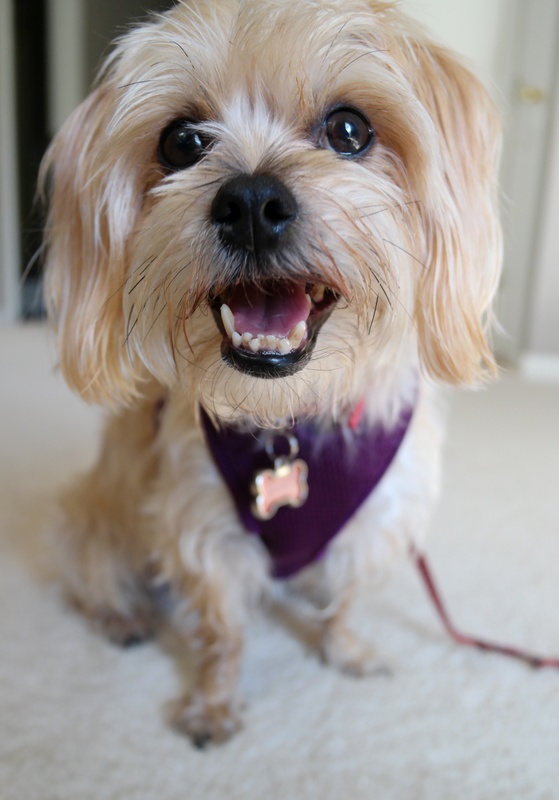 ), she likes to *gasp* eat snacks and watch muttflix in bed the following day. what are you, a college student? seriously this is embarrassing. get it together, lady! …can you pass the chips, please? these are just some of my perfect messes that happen every day at la casa de rambo. but now i want to know, what are yours? i’ve partnered with STAINMASTER to spread the word about a really cool contest they’re hosting right now called #MyPerfectMess. all you have to do is share your perfect mess by posting a pic on social media with the hashtag #MyPerfectMess, and you’ll be entered to win free flooring for one room in your home + a $500 retail gift card! #Whatttt #HolySmokes! you can also enter on facebook by uploading a picture to their contest tab on their facebook page, or by visiting their website and uploading your picture there. so go ahead, make a mess! i’d love to see it (especially if some sneaky dogs are involved! ), and so would STAINMASTER. visit their contest page to learn more about #MyPerfectMess. this blog post was sponsored by STAINMASTER, but all opinions are 100% my own. i only promote brands and products that i personally use and like, and STAINMASTER is no different. 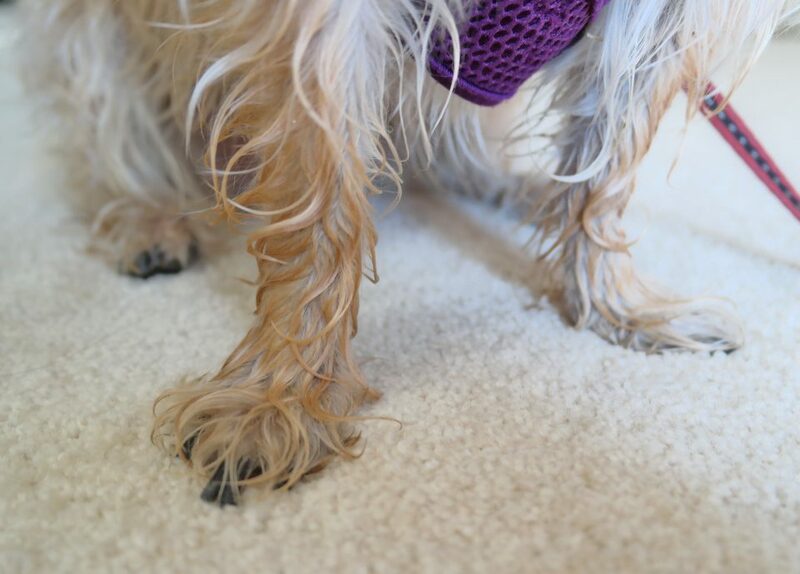 you may recall when i recarpeted my entire house last year with STAINMASTER PetProtect carpet, so yeah, i think they’re pretty great! check them out on facebook and instagram to learn more about their awesome brand! Photos are awesome. You are a real down to earth pup. Thanks for sharing some of your mishaps, we all make them. OMG, this is soooo funny, messy days in the life of lil lumpi fluffi! there were 3 that I especially liked, 1) when u opened the bag of food, wow, u should have told the human u were sorting em out, by color, lol! and 2) the big smile with ur crooked lil teeth, hahaha! and 3) the tomatoes all over the floor, human said u were her sidekick/mini hoover! ROFL, that was sooo cute, thanx for sharing all of it, best video I saw in a loooong time, oh, I didn’t see where u spilled the wine (over the couch?) oh u didn’t? ok…. luv u and ur human, Helga and Elmo.